Under plans being considered by Northampton County Council, 21 libraries across the county are at risk of becoming community-run, or closed. A further option would see 27 libraries closed, including Oundle Town Library. Alongside the consultation process, under the assumption that the Oundle Library will in fact close, county councillor Heather Smith is encouraging Oundle Town Council to investigate and negotiate retaining the library service as a community managed library with support funding provided by the town council. However, at the November full council meeting, the OTC stated that they were ‘strongly opposed to any closure of the Oundle Library’, and expected the NCC to continue to provide a county-wide library service. The Oundle Library is a well-used service. In the last year there were 51,357 visits, and 45,174 loans issued. 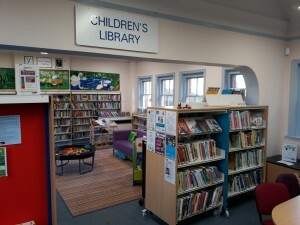 The library hosted 96 adult activities and 212 children’s activities during the year. Northamptonshire County Council needs to find £9.6m in savings over the next year and has decided that fundamental reshaping of the Library and Information Service is required to ensure that savings can be made. The review currently underway seeks to examine current libraries and aims to involve the public in the decision the council will make, with three options from which the public can comment on. Option 1 will see 21 library closures, unless community groups or organisations step forward to run them as community-managed libraries staffed by volunteers. Oundle would not be affected. Overall savings to the council in the first year would be £290k. Option 2 will see 21 library closures, while retaining 15 libraries as community hubs. Oundle would remain open under this option. Savings to the council in the first year would be £619k. Under Option 3, 27 libraries would be closed, including the Oundle library, leaving only 8 libraries open across the county. Residents of Oundle would need to travel 10 miles to the nearest library in Corby, further than any other parish in the county. Savings to the council in the first year would be £1.226m. The delivery of library services across the county costs £5.5m, while income generated by the services totals £929,510. According to the NCC cabinet report, libraries are used by 1 in 2 people. 74% of those surveyed think libraries are important for communities while 40% think libraries are important for them personally. In 2015/16 there were a total of 78.6 million library loans to children in the UK. Although the consultation process is still underway, local councils are planning for a worse-case scenario of full closures, and are investigating options to run libraries with the support of volunteers. The OTC has been advised that a community-led’ model seems to be the most suitable option for Oundle’s library, should it be closed under Option 3. Critical factors the council would need to consider include oversight of acquiring required assets for running the service, legal structures and risk assessments, as well as training of volunteers, stock knowledge, and legislative responsibilities. The Oundle library building is Freehold, owned by NCC with an indicative value of £190,000. The costs associated with the running the building for 2016-2017 totalled £19,595. However reported costs to run the library have ranged wildly from £26K to £100K. OTC Councillor Chapple pointed out that the local communities have not had adequate time to plan for potential new budgeting expenses and urged the county council not to rush into a major decision for the financial year beginning in April. In the November meeting the council said they were ‘dissatisfied with how the whole thing is being handled’. They pointed out that there appear to be ‘shifting sands’ on the options, and with the little information available, felt unable to comment on the consultation options. The consultation ends on 13 January, with final decisions to be made in February 2018. To have your say in the future of Northamptonshire’s Library and Information Services, you can complete an online survey at www.surveymonkey.co.uk/r/LibraryReview2017.